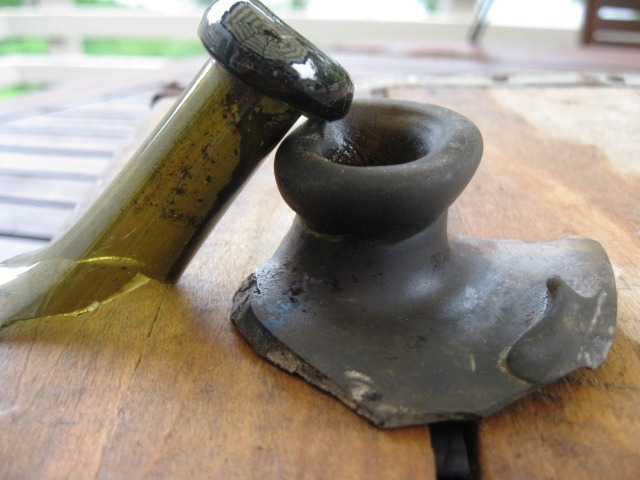 Then they ask how to tell if a bottle is really old, and I try to give them a crash-course in dating old bottles or even bottle fragments they may come across. If the house was built before 1870 or so, there is almost assuredly at least one, and more likely many, old whole glass bottles either buried deep in the bottoms of what was 150 years ago an outhouse pit, a well or maybe a trash pit at the back corner of their yard. There can also be random dropped or tossed single bottles that were just “early American litter” that got covered by falling leaves one autumn and then the falling leaves and dust of the next 150 years, which left it protected in its natural cocoon, in the exact same condition it was when it was inadvertently left there. 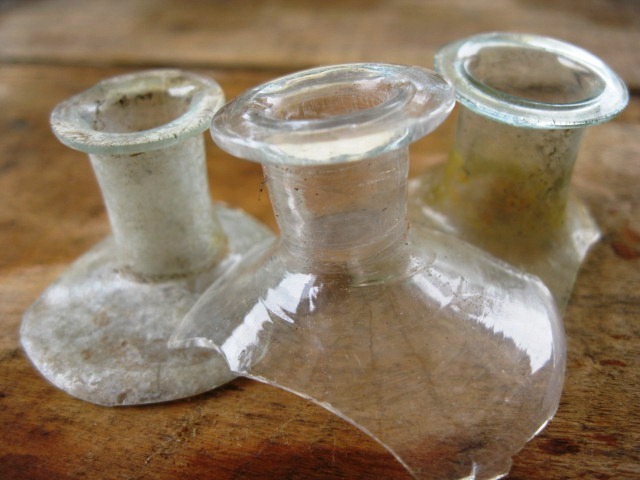 When you dig and handle antique bottles for a few decades, you can’t help but develop an eye for old glass, and the ability to instantly identify even a small shard of glass as something common, and not so old, from something very special, hand-crafted by the earliest glass blowers in America. Here in New England, some of the pioneers of utilitarian glass blowers were found in the towns of Stoddard and Keene, N.H., Coventry, Conn., and Sandwich, Mass. The rudimentary glass houses in these and other towns consisted of small log-built buildings with a furnace or kiln of some sort, and a source of water. If you find an old photo or sketch of these humble workshops, you’ll see scruffy men with dirty faces in ragged work clothes, with a couple of horses “parked” outside. They could not have thought, their wildest dreams, I’m sure, just how valuable and desired the simple wares they crafted each day would someday be. Like many people, I suppose, they were creating a long-lasting legacy just by what they did in their daily works. And they never even knew it. A few of the early bottles they crafted are among the holy grail of antique bottle collectors. 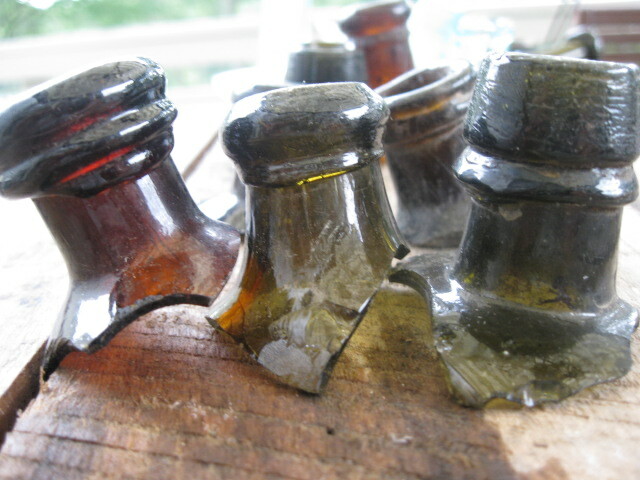 Even a tiny edge piece of one of these bottles has value to an avid collector. 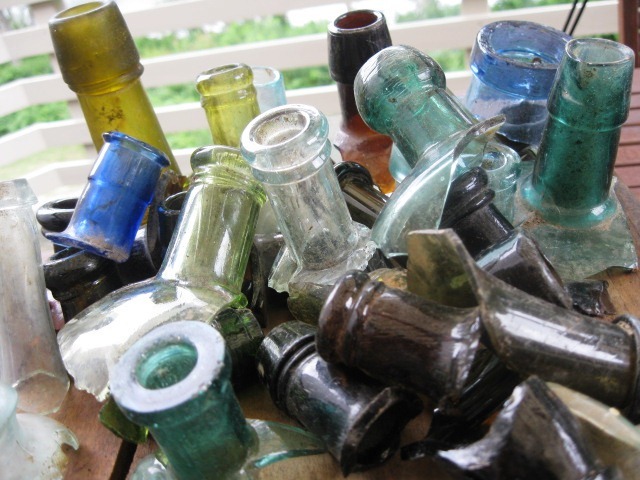 Not to say that you can generally go out and sell broken bottle pieces to anyone, but as a hobby, bottle collectors love to sit and sift through a box of old shards. They’ll go through each one, even tiny ones, and be able to name the bottle, its age, where it was made, what it contained, and its value on today’s market. From the earliest free-blown American bottles of the late 18th century to the machine-made bottles that began to be produced after the Industrial Revolution, the manner in which the bottles lip was made give us urban archeologists a pretty clear timeline to go by. 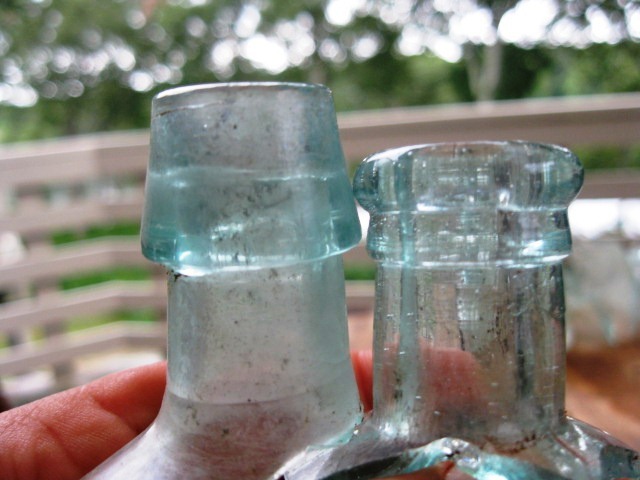 A bottle collector can identify a bottle using even a small broken piece of the lip, the way a “normal” person can identify their favorite candy bar by even a little piece of the corner of its colored wrapper.